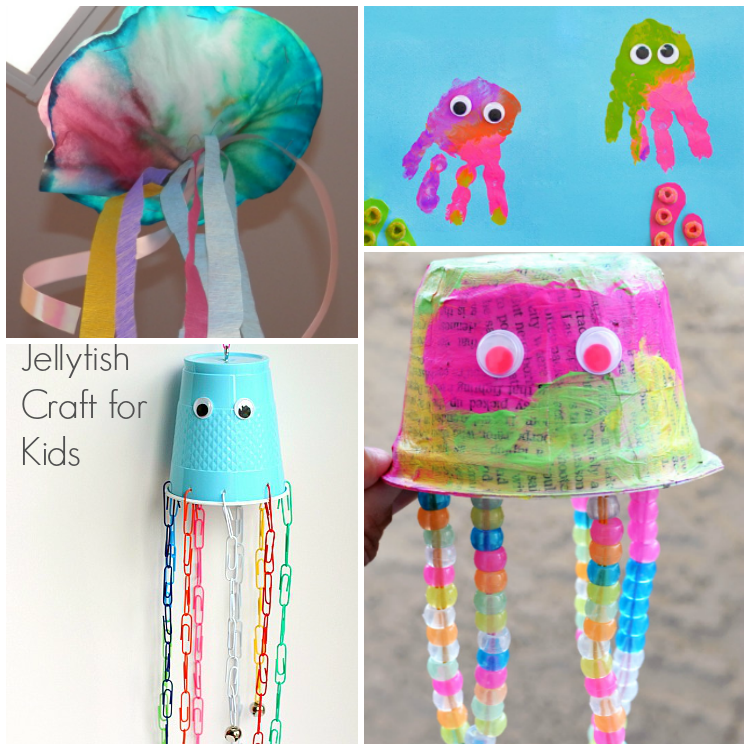 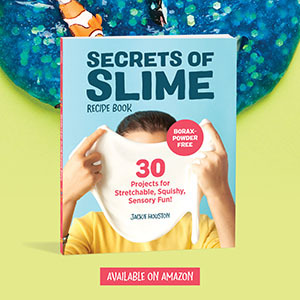 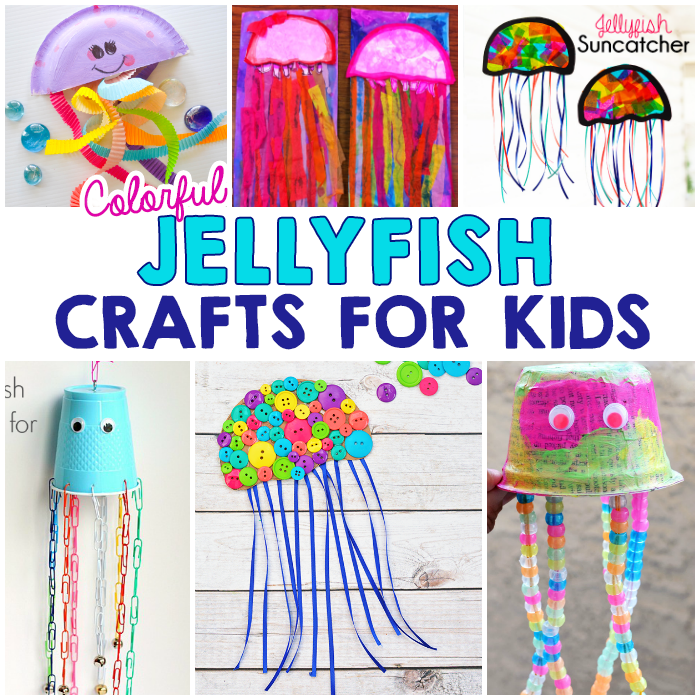 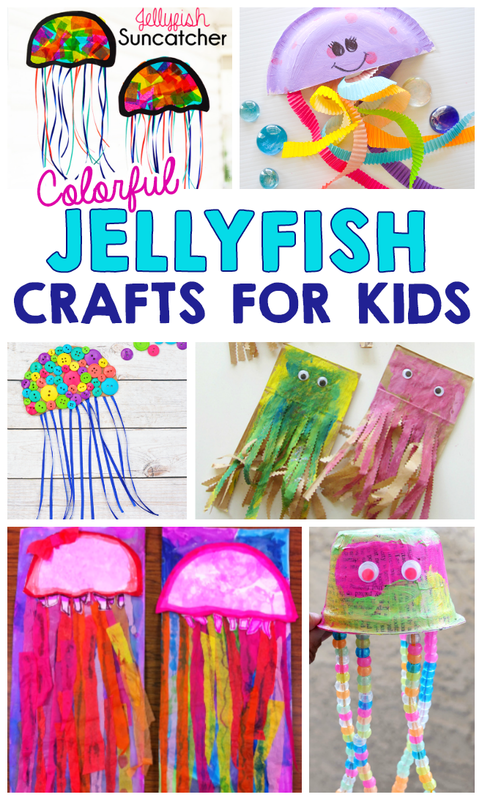 There are so many different jellyfish themed crafts for children out there. 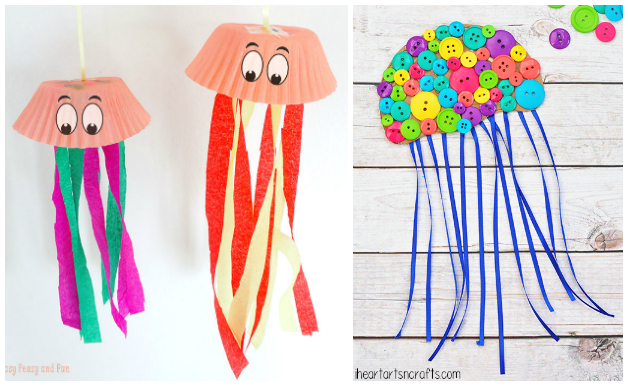 I think these are perfect for summer and to hang up to display, especially the colorful selection we’ve rounded up for you below! 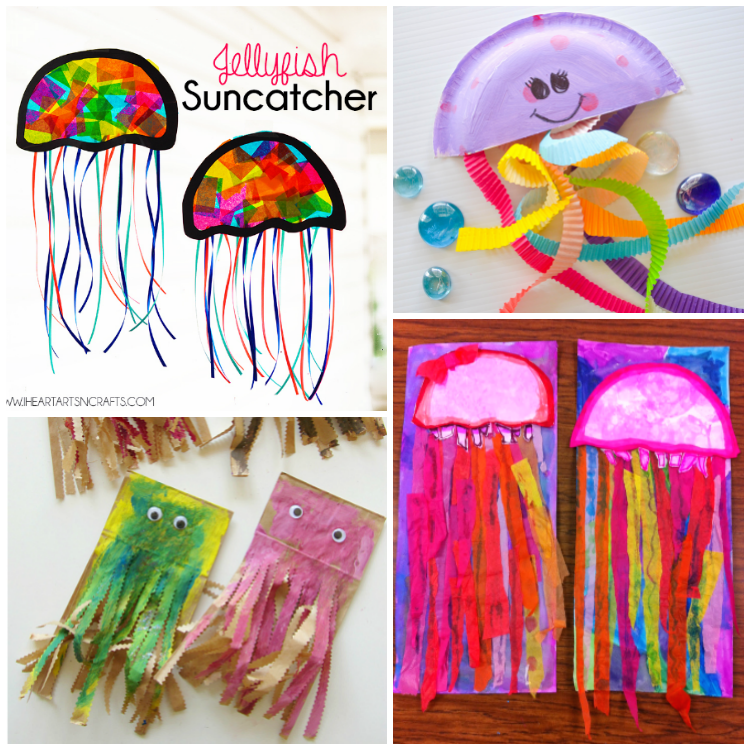 Here’s a few of our favorites, as well as some we’ve already made!